The olive oil was first found in Asia almost 3000 years back, and has been extensively used since then as a natural remedy for healing wounds. However, it was the Mediterranean people who first recognized the actual worth of this plant, using it for a range of purposes – something more than just a healing agent. It was these ingenious people who first recognized that the oil extracted from olive, widely known as olive oil today, contains a lot of monounsaturated fat; this exerts a positive effect on your blood cholesterol levels and combats other cardiovascular diseases as well. The extracted oil was also used as an effective moisturizer and an excellent treatment for skin irritations. It’s only of late that the rest of the planet woke up to the numerous health benefits of olive oil, and switched over to a healthier form of this oil. What Is Extra Virgin Olive Oil? And What are the different Grades? Based on the level of processing performed on pure olive oil, it’s available in the market in four different varieties – extra virgin olive oil (obtained from lowest level of processing); virgin olive oil (obtained from second pressings on the olive); pure olive oil (obtained from rigorous processing like refining and filtering); extra light oil (obtained after huge processing, and has very delicate olive flavours in it). Nevertheless, out of all these different varieties, the one that’s purest and healthiest is the extra virgin olive oil. The oil is produced by cold pressing freshly harvested olives, without any usage of chemicals or artificial flavours. In fact, it is the only vegetable oil that can be consumed in its natural form, without any processing or adulteration. Some of its top health benefits originate from its high content of antioxidants and fatty acids. It’s astonishing that something so minute or small can prove so beneficial to you. The biggest benefit of extra virgin olive oil is that it controls the LDL cholesterol levels and increases HDL levels. No other kind of oil contains such massive amount of monounsaturated fat. 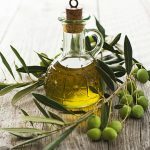 Studies have shown that individuals who consumed more or less 2 tablespoons of olive oil on a daily basis showed less accumulation of LDL cholesterol and enhanced level of antioxidants. Unlike other types of vegetable oil, extra virgin olive oil is easy on your stomach. It works as a protective shield for those suffering from ulcers and other gastritis issues. When consumed in its natural form, the olive oil induces the production of bile and the pancreatic hormones in a natural manner, more than any other medicine or prescribed drugs. What’s more, it helps lower the chances of gallstone formation. Since this variety of olive oil is completely pure or unadulterated, it’s loaded with vitamins and strong antioxidants. 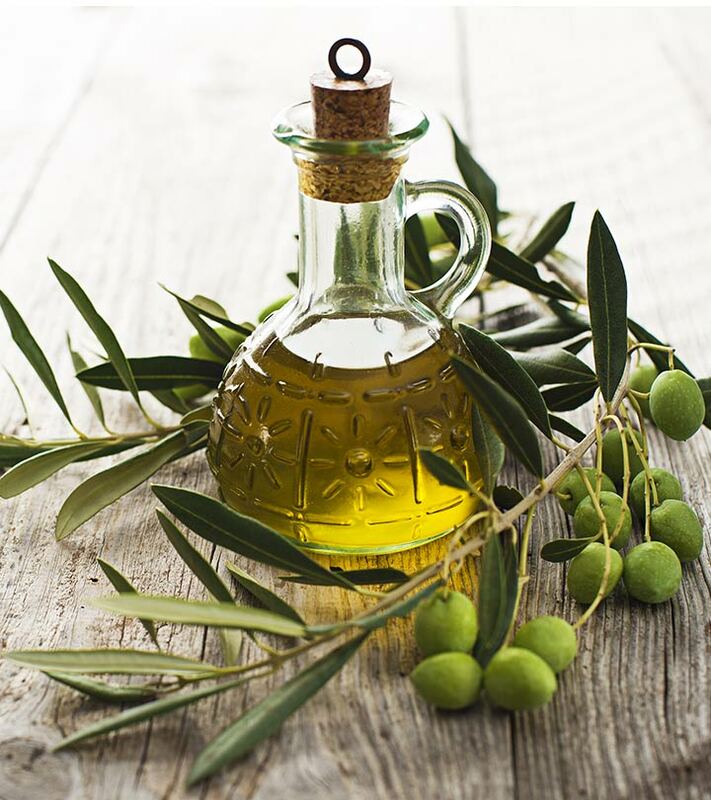 Extra virgin olive oil, popularly known as EVOO, is also often referred to as a “beauty secret”. Besides being an excellent skin moisturizer, it helps stimulate cell repair for firmer and smoother skin. 5. If you apply this oil to your skin, right after bath, you’ll enjoy smooth and flawless skin – something that you’ve always craved for. A lot of men and women experience acute hair loss and constantly look for natural remedies that prove effective for hair re-growth. 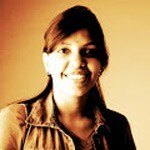 Most natural home remedies consist of natural botanicals and herbs for optimum hair rejuvenation. Almost fifty percent of these natural treatments include olive oil. Loaded with vitamins, minerals and antioxidants, olive oil helps retain the moisture in your hair and stimulates their growth. It also protects your hair against dirt, pollution and strong sunrays. Hope you liked our post on extra virgin olive oil benefits. Don’t forget to make this miraculous oil a part of your everyday life. make the best uses of extra virgin olive oil and enjoy the positive changes. Stay Healthy!